Concerned parents may soon be able to keep track of their children through a Global Positioning System (GPS) for a lot less money. On February 4, TraqCloud launched a Kickstarter campaign with a funding goal of $45,900 for development and production of an inexpensive GPS tracking device. As of February 16, over 375 backers have contributed more than $18,000 toward the goal. If successful, TraqCloud promises to market tracking devices as low as $69, with monthly service fee of $10 per month. Kickstarter backers will be able to get the device for $19 with three free months of service. While GPS tracking is nothing new, the lower price point will likely cause the market to proliferate, increasing GPS use in a variety of scenarios. TraqCloud touts several less-controversial uses for their product: tracking luggage, tracking children and the elderly, tracking teenage driving, and tracking stolen property. But it is not hard to imagine this device becoming popular for more controversial uses, such as spying on a spouse or tracking someone with the intent to cause harm. The TraqCloud device is relatively small (smaller than a pack of cards) and the rechargeable battery stays charged for up to 14 days. Tracking people with GPS devices raises privacy issues. In January 2012, the Supreme Court held in United States v. Jones that warrantless use of GPS devices by police to track a suspect’s car is unconstitutional. However, whether this same rule applies to private-use individual tracking is not as clear and varies from state to state. Because GPS laws vary by state, a prospective user should carefully research the law in her jurisdiction before installing and using a GPS device. In general, it is legal to install such a device on your own property. However, some states may have an exception for property (e.g., cars) that is co-owned if the co-owner is not aware of the installation. Further, even when you are the sole owner of the property being tracked, informing those who might be impacted (e.g. car rental company informing customers that cars contain a tracking device) is the legally safest option. 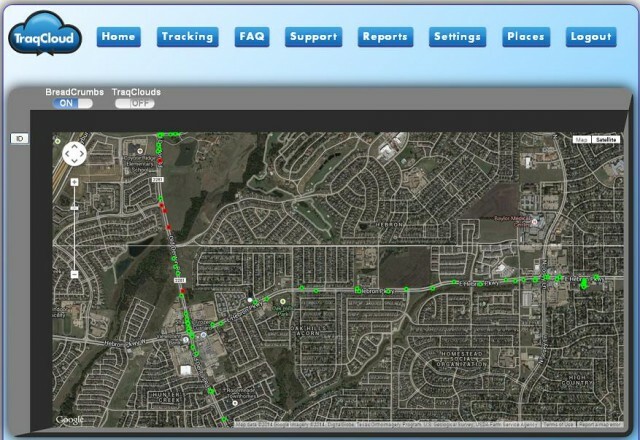 When the vehicle is not your own, some states (e.g., California, Texas, Virginia, and Minnesota) still permit installation of a GPS tracking device as long as the owner consents. In cases where the installer needed authorization that he did not receive, the installer may face a misdemeanor criminal charge. Because a common use for GPS devices is to track children, another issue that is raised is the privacy rights of minors. In In re R.V., the California First District Court of Appeals held that the GPS monitoring of minor while on probation is not a violation of his privacy rights under the Fourth Amendment. However, it did not address the use of GPS monitoring by a parent. Generally, a minor does not have a reasonable expectation of privacy from his parents. Thus, a parent would be permitted to track a child’s whereabouts or driving patterns (e.g. speed) through a GPS. The bottom line is that use of GPS tracking devices will likely become more and more mainstream as prices drop. While there are many legitimate uses for such devices, users should carefully research state law prior to installing and using the device to track a person and prior to installing on property used by others. Oh, “Dumb Starbucks,” What Art Thou?